Welcome to the Best Western Plus Roland Inn & Suites. This hotel is located on I-10 East and Highway 87 (Roland Rd). We are three miles near San Antonio Downtown, the Riverwalk, Texas Institute of Culture, the Alamo, The Alamo Dome, Henry B. Gonzalez Convention Center, Lions Park, Gonzaba Baseball Field and Highland High School Tennis Court. Nine miles near the San Antonio Zoo, Brackenridge Park, Japanese Tea Garden, San Antonio Botanical Garden. Two miles near the AT&T Center & Coliseum, four miles near Sam Houston, five miles near St. Phillip's College, seven miles near Karen Wagner ISD & Judson ISD, eight miles near University of Incarnate Word, 10 minutes near Kirby, China Grove and East Central ISD, 10 miles near Converse and Lackland AFB, 10 minutes near UTSA Downtown, 25 miles near Six Flags Fiesta Texas, and 20 minutes near SeaWorld . We are a 100% non-smoking hotel and a pet-friendly facility. We feature friendly customer service and comfortable accommodations at the right price. Guests will find the property offers amenities such as an expanded fitness center, free parking, and guest laundry. Business guests will appreciate the on-site business services and 1,700 square foot meeting facilities. This San Antonio hotel offers well-appointed suites, with oversized windows that allow natural light in all the rooms, complete with 43-inch LED TVs and free high-speed internet access. 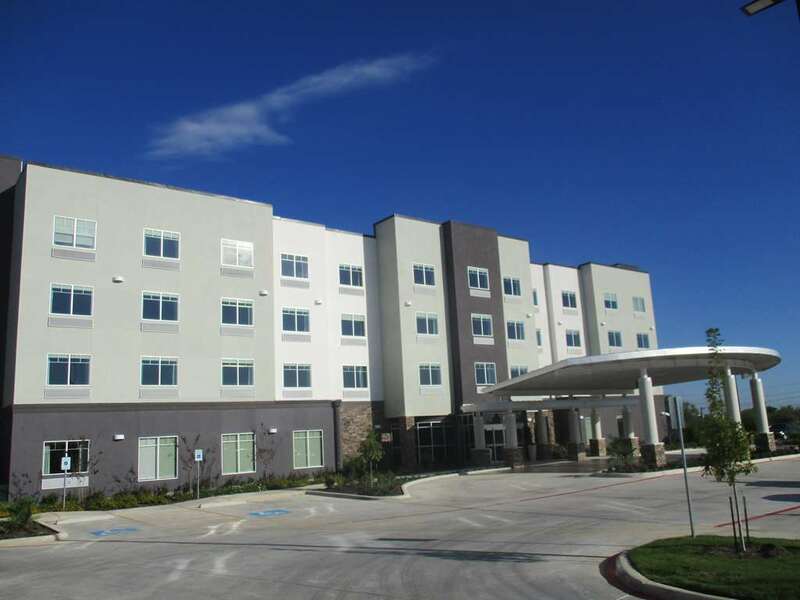 This Texas hotel, the Best Western Plus Roland Inn & Suites is proud to offer superior customer service and a convenient location in San Antonio. Make a reservation today and save! 0.4 mile(s) from The SmokeHouse, Full Service, Steak House, Open for: lunch, dinner, Well-known BBQ spot where brisket, sausage, ribs and chicken are pit-smoked with mesquite on-site. Adjacent to Whataburger , Fast Food, American, Open for: breakfast, lunch, dinner, Circa-1950 fast-food chain for counter-serve burgers, some stacked with multiple patties. 2.6 mile(s) from Pollos Asados Los Nortenos, Full Service, Mexican, Open for: lunch, dinner, Low-key option offering a variety of traditional Mexican chow in a casual environment. 4.4 mile(s) from The Spaghetti Warehouse , Full Service, Italian, Open for: lunch, dinner, Pasta is the specialty of this casual Italian chain with a family-friendly vibe. 5.3 mile(s) from The Luxury, Full Service, American, Open for: lunch, dinner, Offbeat counter-serve kitchen and bar for big plates of high-end chow served in a funky outside space. 3.2 mile(s) from Bill Miller Bar-B-Q, Full Service, American, Open for: breakfast, lunch, dinner, Laid-back Texas-based chain serving up pit-smoked meats,fried chicken, breakfast and baked goods. 2.8 mile(s) from 2M Smokehouse, Full Service, American, Open for: lunch, dinner, Barbecue favorites like pulled pork and brisket pair with classic sides. 4.7 mile(s) from Ruth's Chris Steak House, Full Service, Steak House, Open for: lunch, dinner, Outpost of upmarket steakhouse chain known for sizzling, butter-topped beef in an elegant setting. 4.0 mile(s) from Chart House , Full Service, Seafood, Open for: lunch, dinner, High-end chain eatery serving seafood and steakhouse fare in a classy setting with view. 2.5 mile(s) from Domino's Pizza, Fast Food, American, Open for: lunch, dinner, Delivery and carryout chain offering a wide range of pizza, plus chicken and other sides. Pool - Outdoor pool, open 10:00 a.m. to 10:00 p.m.
22.3 mile(s) from Six Flags Fiesta Texas, part of an amusement park chain with roller coasters, rides, live shows, a water park, food & beer. 7.5 mile(s) from San Antonio Zoo , is an Association of Zoos and Aquariums-accredited zoo. It is located in the city's Brackenridge Park. The 35-acre zoo has a collection of over 3,500 animals representing 750 species. 3.2 mile(s) from AT&T Center, is a multi-purpose indoor arena on the east side of San Antonio. 9.1 mile(s) from San Antonio Botanical Garden, is a 33-acre, non-profit botanical garden. 27.6 mile(s) from Natural Bridge Wildlife Ranch, is a 400-acre safari park on the northern outskirts of San Antonio, near New Braunfels, Texas. 6.8 mile(s) from San Antonio Missions National Historical Park, is part of a UNESCO World Heritage Site preserving four of the five Spanish frontier missions. 18.3 mile(s) from SeaWorld San Antonio, is a 250-acre marine mammal park, oceanarium and animal theme park. 4.7 mile(s) from The Alamo , the Alamo Mission in San Antonio is commonly called The Alamo and was originally known as Misi n San Antonio de Valero. 4.6 mile(s) from San Antonio River Walk, is a network of walkways along the banks of the San Antonio River. 7.3 mile(s) from San Antonio Japanese Tea Garden, scenic park from 1901 with stone bridges, a waterfall, koi ponds, a pagoda & the Jingu House Cafe.